SDAIII is a family of serial data analysis options that unlock the capabilities of Eye, Jitter, Noise and Crosstalk analysis. SDAIII provides a single lane of analysis, similar to the previous SDAII package, with the addition of the new Reference Lane and LaneScape Comparison Mode. SDAIII-LinQ provides all SDAIII capabilities on 4 lanes. Extend these packages include crosstalk and noise analysis with SDAIII-Crosstalk or SDAIII-CrossLinQ. For a complete serial data and signal integrity solution, purchase SDAIII-CompleteLinQ, which includes all capabilities described above plus the EyeDoctorII and VirtualProbe packages. Access the most complete set of serial data analysis tools to form eye diagrams and decompose jitter into Tj, Rj, Dj and beyond. Go beyond eye and jitter measurements to understand jitter in the time, frequency, and statistical domains. Use multi-lane analysis to simultaneously measure, view and compare eye diagrams and results from up to 4 lanes of traffic, or to compare multiple configurations for a single lane. 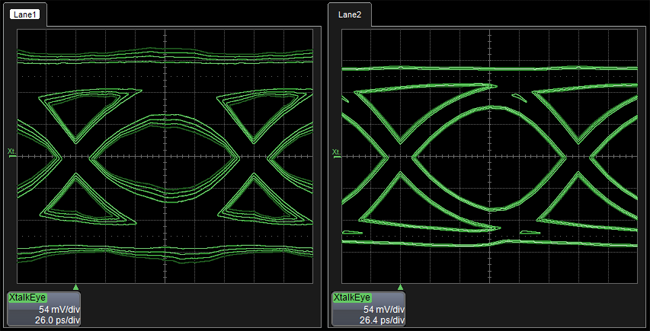 Oscilloscopes with SDAII can be upgraded to access the new Reference Lane and LaneScape Comparison Mode. Use these powerful new tools to rapidly characterize and debug differences between lanes and to perform multi-scenario analysis. Noise due to crosstalk has become a serious signal integrity problem. SDAIII-Crosstalk and SDAIII-CrossLinQ measure noise levels and provide insight into the sources of interference and noise. 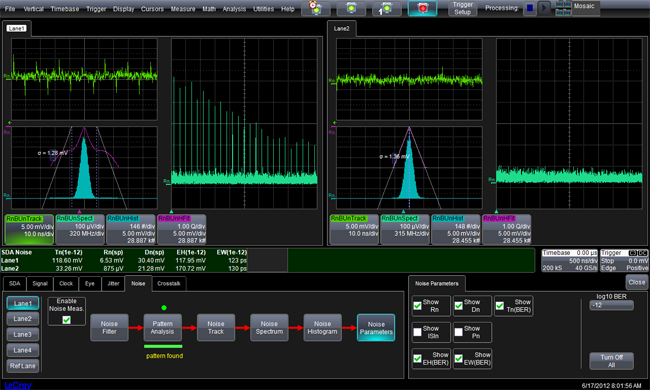 Only Teledyne LeCroy measures noise in this manner on real-time oscilloscopes. The SDAIII-Crosstalk and SDAIII-CrossLinQ packages include the new Crosstalk Eye, which depicts noise aggressors more clearly than a standard eye. 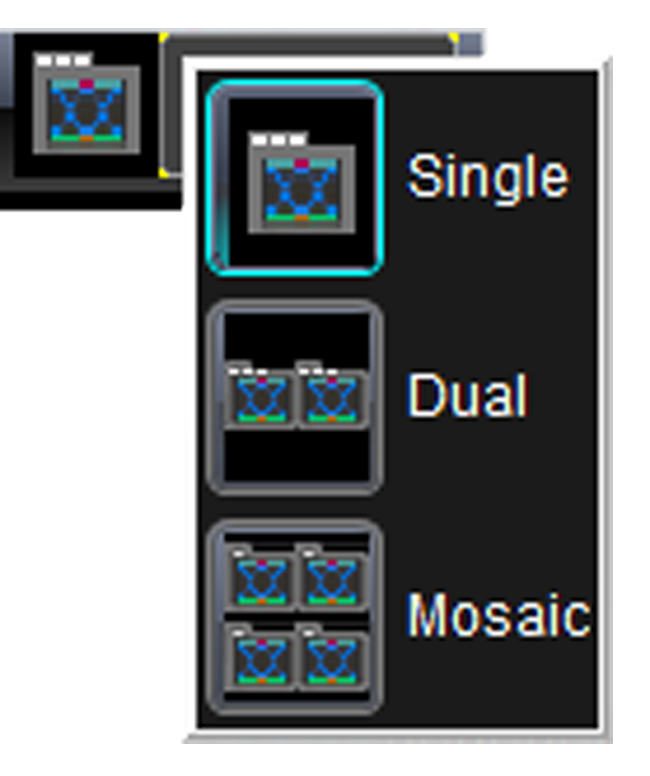 Use the Crosstalk Eye Compare feature to quickly understand crosstalk effects in aggressor on/off comparisons. The new Crosstalk Eye shows the probabilistic extent of noise both inside and outside the eye in a log scale. This view allows user to see the extent of noise that can be hard to see in a traditional eye diagram. The SDAIII “framework flow dialog” provides access to all serial data analysis and signal integrity toolkits. Purchasing multi-lane (“LinQ” p/ns, EyeDoctorII and Crosstalk options unlock buttons that access buttons for those capabilities.